By far, the greatest financial advantage to offshore manufacturing was derived from labour arbitrage - from lower wages from "replacement" workers. Low wages plus workers who can do the work are a winning combination. To access low-cost labour, manufacturers will happily build the factories, roads, and infrastructure needed for manufacturing. China has been the gold standard for outsourcing, but western manufacturers are being lured by still lower wages in Vietnam or Thailand. Now, technology has taken a big leap forward, and suddenly... wages don’t matter! Today's robots are intelligent machines that can perform almost every function a human being can. The latest intelligent machines don’t just help workers to be more productive, they completely replace workers. Robots eliminate the need to build factories where low-cost workers live. You can just build the factory where you want and install robots instead of workers. When wages no longer matter, onshore factories make a lot of sense. Onshore factories certainly make sense to Adidas. Last year Adidas built their first SpeedFactory in Germany. A SpeedFactory is their name for a new generation of onshore factories that provide three benefits. First, it is highly automated, delivering a lower cost of operation than an offshore factory. Second, by building the factory in major consumer markets, transportation costs are greatly reduced. Lastly, because SpeedFactories are built near consumers, Adidas can quickly restock sold-out products and reduce customer frustration. Not surprisingly, Adidas is building a second SpeedFactory in Atlanta, scheduled to open in 2017. Reebok, a subsidiary of Adidas, has announced the construction of a similar factory in Rhode Island. Nike has been talking about building a new factory in Oregon for the last year. (Come on Nike… Just do it!) What looks like a pretty good idea today, will be an irresistible financial proposal in a year or two. One of the biggest difference between a human worker and a robot is the way costs change over time. Workers want raises and promotions. Over time, the same factory producing the same number of goods has higher labour costs. When the factory is offshore, this happens even faster due to higher offshore inflation and increasing competition for workers. Robots, however, cost less every year. Next year’s model will work faster, have more capabilities, and still cost less. As time goes on automation looks better and better. If this is the beginning of a new era, where onshore can be more efficient than offshore, what will happen to all of the work that is already offshore? If a location only offers lower wages, we can expect that work to be reshored in a few years. Offshore factories need more compelling advantages to resist reshoring? Since China has the most to lose from reshoring, let's see if their plans tell us anything about the future of offshoring. Domestic Market. When offshoring took off at the turn of the century, products were manufactured almost exclusively for the West. Today, China is the largest consumer of Chinese manufactured products. For example, while America has peaked at 100 million iPhone users, China has 135 million users and plenty of room for expansion. China is able to be a "local" supplier for east Asia and India… if they maintain their manufacturing edge. Energy. Manufacturing requires electricity, and next to labour, energy is often the highest cost for manufacturing. America has a significant cost advantage for electricity compared to most of Europe. Underdeveloped countries have high-cost power and unreliable power grids. In many offshore locations, manufacturers must invest in generators and other infrastructure. The cost of electricity in China is comparable to America. However, in the past decade, China built hundreds of new coal plants, is building 20 nuclear plants, and has more solar and wind power in production than any other nation on earth. Old and inefficient plants are being closing. By the 2020's, China may set a record for inexpensive power generation. Technology. China’s population has almost plateaued, and by 2100 will decline by 500 million. China already has problems hiring for manufacturing jobs, which has led to runaway wage increases. China has very ambitious plans to add between 1 and 4 million robots by 2020. If China succeeds, China will need to build and install enough robots to become the world's undisputed #1 manufacturer and consumer of industrial robots. Furthermore, because of this robotic work, by 2020 China must develop the ability to build the most efficient factories in the world. Financing. If hundreds (if not thousands) of robotic factories are going to be built in America and Europe, that will require capital financing. Four of the top 10 banks in the world are Chinese, two of which have “Industrial” or “Construction” in their names. China also happens to be home to six of the world’s largest construction firms. With leading positions in banking, construction and robotics China is going to build most of the world's new factories. Adidas pointed out the value of reshoring, and other big-brand athletic gear companies are hot on their heels to find new onshore manufacturing efficiencies. 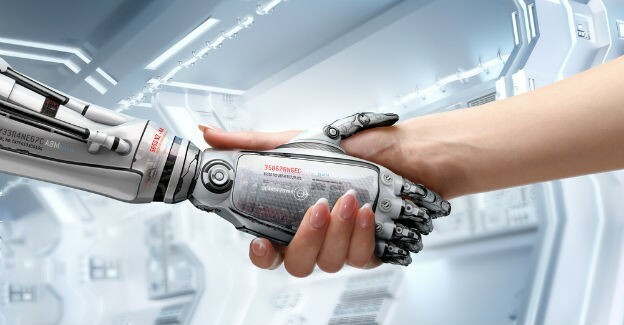 If China dominates in robotics, energy production, financing, and construction, they will move beyond the title of “The World’s Manufacturer”. China is positioned to also dominate in building the next generation of factories throughout the world, or at the very least to be the default option for every factory that is built in the 2020s. The latest generation of technology will level the playing field for manufacturing, making a factory built onshore as financially attractive as locations halfway around the world. After a very long time, the tide has turned and new factories will be built in America and Europe. The trend has just begun, but every week we’re going to see new models of industrial robots at ever lower price points. When it comes to robotic factories, onshore and local has big advantages over offshore and distant. As all factories become robot factories, the change in locations is just the beginning of changes that factory owners, outsourcers, consumers and experience as technology replaces workers, and the world's factories are made in China! Chris Niccolls is a New York-based operations, productivity and outsourcing expert. As an investment banking executive, he became a voice for Wall Street offshoring, developing centres in India, the Philippines, Fargo (USA) and Bristol (UK). Chris has worked in the world’s largest investment banking, legal and insurance firms, and has developed outsourcing advisory groups for New York and London banking firms. Chris writes extensively about outsourcing, project management, process improvement and automation. Follow Chris on twitter @chrisniccolls or read his articles at www.niccollsanddimes.com.